Today I met an elderly Nicaraguan gentleman who asked my name. I said "Kady", but pronounced it in my best Spanish-speaker accent which ends up sounding like "Kah-AY-dee". He didn't quite get it, so I said, "como Lady", (sounded like "como lah-AY-dee", and como is the word for 'like', so, you know...Kady, like 'lady'.) Then he said, "uau (wow), su nombre es (your name is) Lady. uau." My friend jumped in and said, "no, con una K (with a K)." He said, "OH!! Como K-Mart!!" In fact, just call me "Big K". 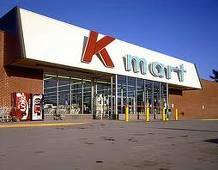 There's a Kmart off Como?? What, when?